Chilly nights out call for a good dose of liquid heat and luckily for you, some of the best bars in Melbourne are embracing winter by adding seasonal cocktails to their drinks list. Up your drinking game during the colder months with our pick of the best hot cocktails in South Wharf. Pull up a cosy campfire seat at the Common Man Fire Garden, and dig into a variety of mulled wine and ciders. There’s a mulled rosé (we kid you not), with vanilla, macerated strawberries and cream. For something a little more traditional – with a twist – try the smoked Aberlour whisky and cabernet mulled wine. 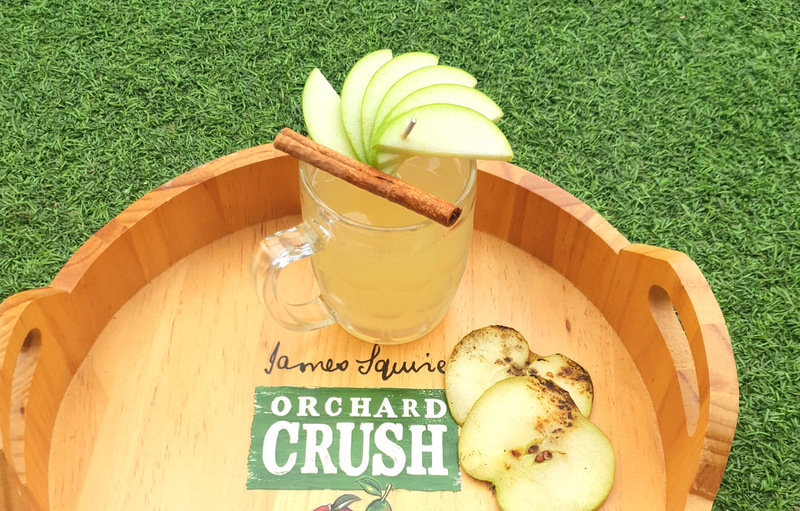 Common Man is also churning out James Squire orchard crush hot cinnamon ciders that are so incredibly easy to knock back, it’s almost criminal. At $9 a glass, they’re also very well priced. Nothing says Melbourne more than a drink that’s not listed on the menu and only the coolest kids know about. The General Assembly bartenders have created a heart-warming drink/shot…depending on how you want to tackle it! The ‘Spicy Swine’ flips the ‘Pickle Back’ on its head. 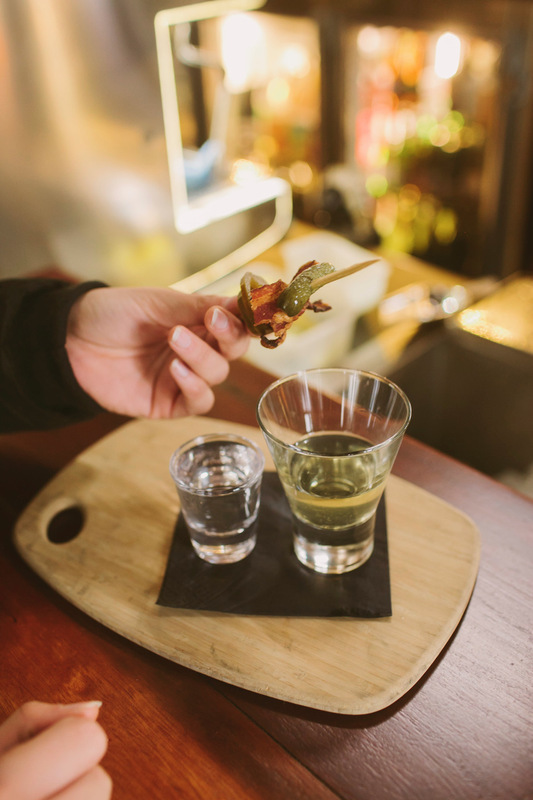 A shot of deliciously smooth Absolut Vodka, with a chaser of jalapeno pickle liquor, served with a side of crisp, smoky bacon and pickled jalapenos. An intense hit of everything delicious, to get a little fire in your belly this winter. Order yourself one for just $9. Shot or sip away while enjoying the new look and feel of The General Assembly with features from local artists, a tantalising winter menu and their own hidden laneway. The ‘Spicy Swine’ is entirely off the menu, so if you want it, you have to ask the bar about it…trust us, it’s worth it! It’s time to get your freezing buns to The Boatbuilders Yard. Plonk yourself in front of their fireplace and indulge in two incredible hot cocktails. 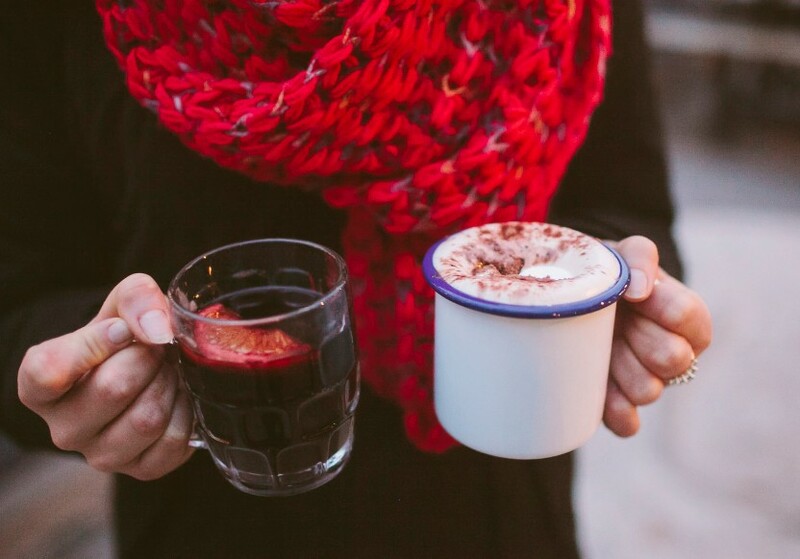 Boaties’ classic mulled wine is back and requires no explanation. It’s one of the best, and most authentic, in Melbourne. They’ve also dropped a new alcoholic warmer and it has got to be tasted to be believed – the ‘Dockyard Starter’; a delicious cup of hot Milo, rum and raisin, topped with a generous amount of marshmallows. Plus 5 are pouring a heap of delicious, warming hot cocktails this winter. 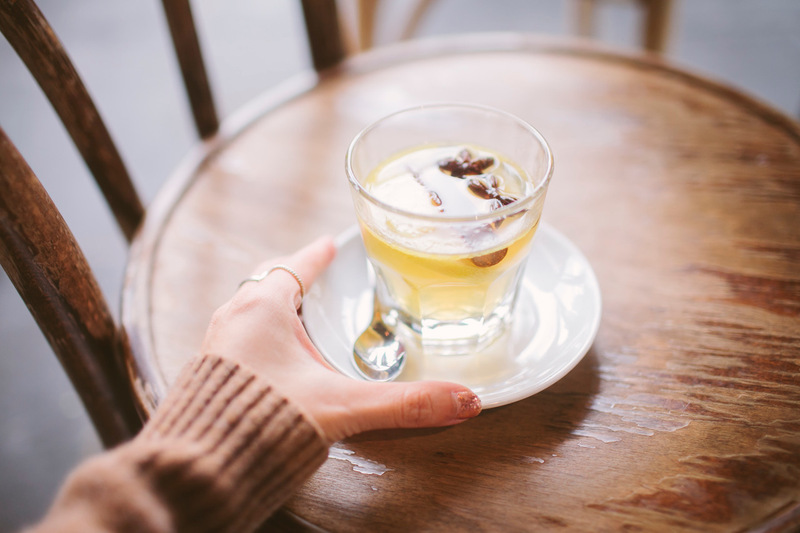 There’s a hot buttered rum, made with Kraken rum, that’s so incredibly satisfying you may not be able to stop at one. 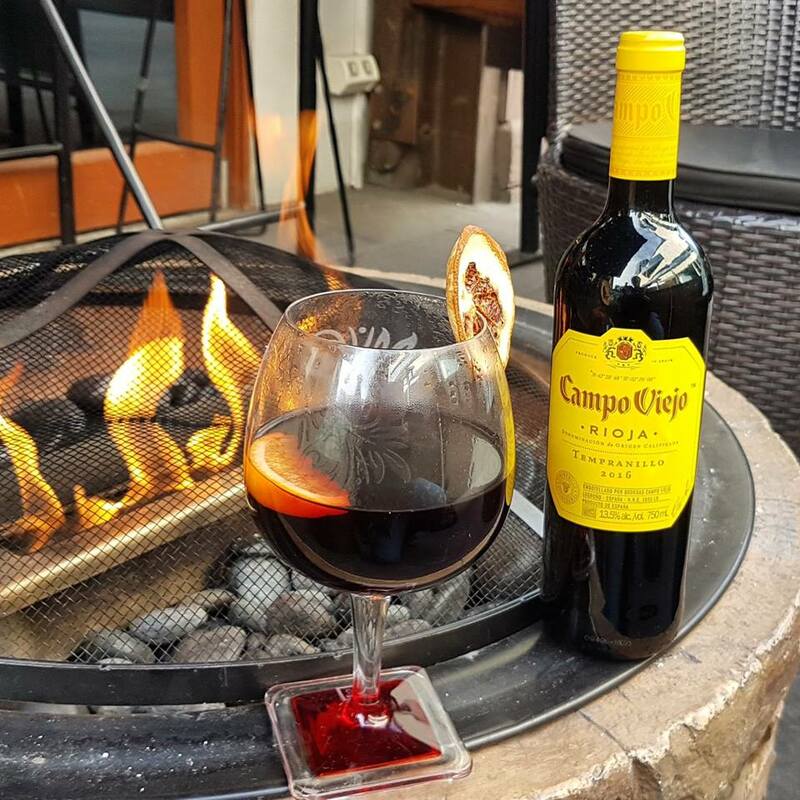 Their mulled wine, fresh out of Spain and made with Campo Viejo Tempranillo Rioja and an exotic blend of fruit and spice is a steal at $8. But, if you fancy a pep me up, try either the premium Irish coffee, made with Jameson Black Barrel whiskey or the premium French coffee, made with Martell Cognac and Kahlua. Special shout out also goes to our favourite wine bar, Bohemian, for their mulled wine – the cheapest in South Wharf at $6 a glass – and full of body, flavour and heat.